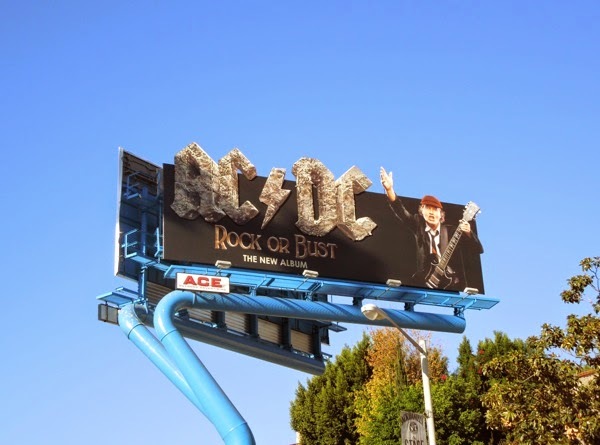 This month legendary rockers AC/DC are bringing the 'rock' and roll to the infamous Sunset Strip with this fun special extension billboard for their new album, Rock or Bust. 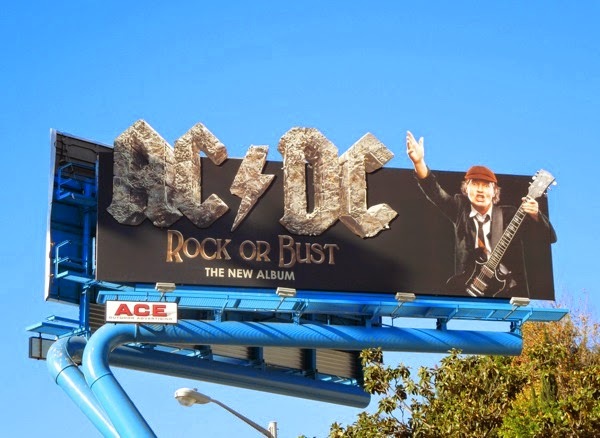 Lead guitarist Angus Young and his Aussie band mates are back for their 15th international studio album and they'll also be touring next year to celebrate their 40th anniversary. 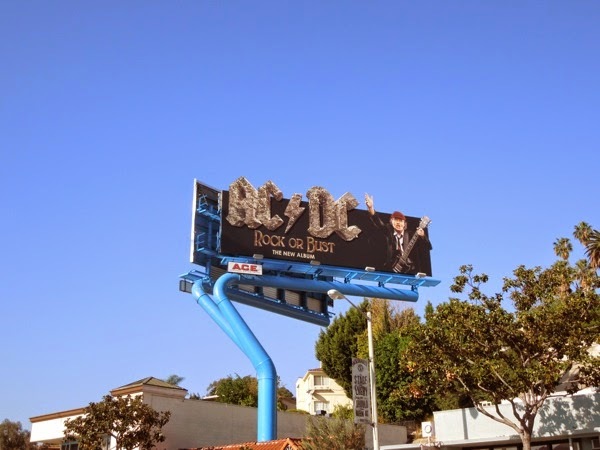 This eye-catching outdoor ad for the band's new album was snapped along Sunset Boulevard in West Hollywood on November 28, 2014 (now if only they would move that giant crane across the road casting a shadow over this fabulous billboard). 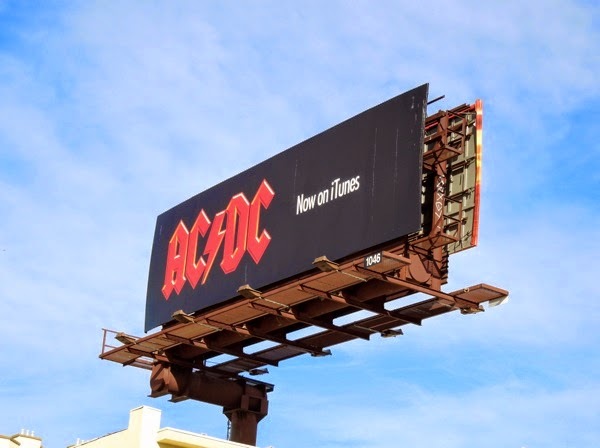 This ad is a great way to get the party started in December and if you like it, be sure to also check out these other music billboards that have graced L.A.'s skies in recent years. 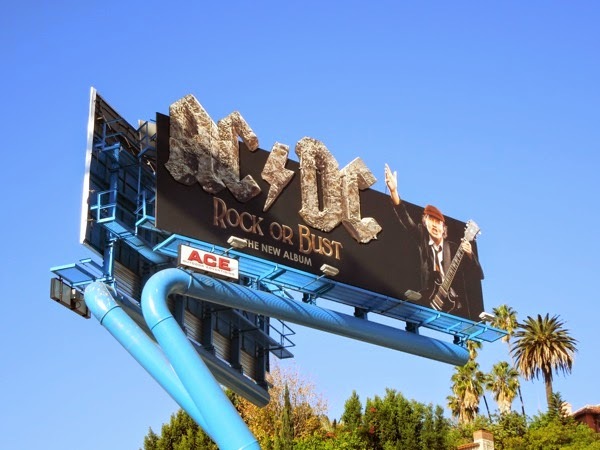 UPDATED: Here's another few photos of the rocking billboard without the looming shadow of the crane spoiling the view so much, snapped on December 6, 2014. 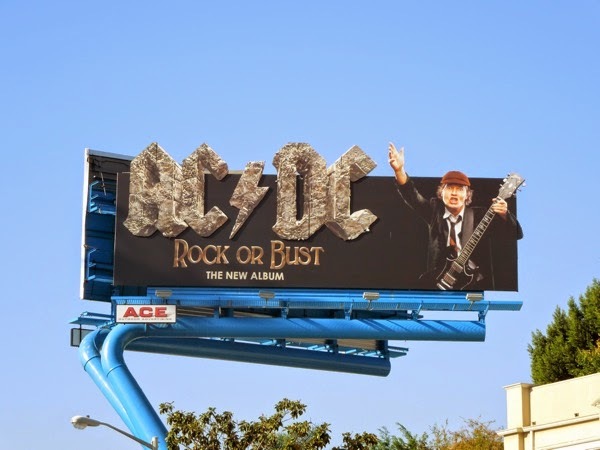 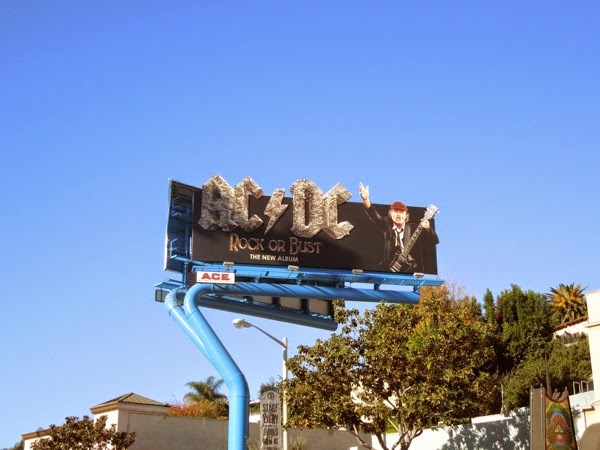 UPDATED: In addition here's a blast from the past and a rather simple billboard spotted further east along Sunset Boulevard way back on December 15, 2012, for the release of AC/DC's music catalogue for the first time on iTunes.